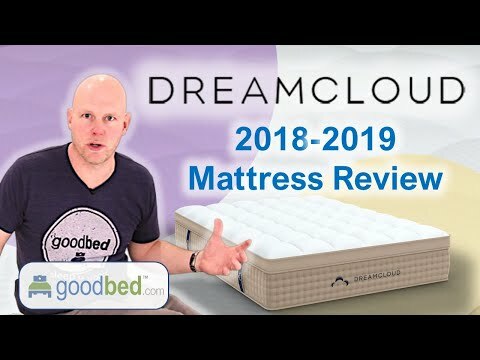 To decide whether DreamCloud is the right choice for you, read GoodBed's expert review of the DreamCloud mattress or watch our in-depth video review of the DreamCloud mattress. DreamCloud has 4 ratings and 1 review on GoodBed. Hmmm... We couldn't find any DreamCloud stores near Houston, TX. You can try changing your location. DreamCloud carries the mattress brands shown below. Call store first to confirm availability. DreamCloud mattresses have 114 ratings and 10 reviews on GoodBed. DreamCloud is recommended by 50% of mattress shoppers on GoodBed (based on 4 ratings + 1 review). Have you shopped for a mattress at DreamCloud? Write a Review! Recommended by: 50% of owners on GoodBed (based on 4 ratings + 1 review). Notes: DreamCloud provides you with a full year, 365 nights, to enjoy DreamCloud and decide if DreamCloud is right for you. If you decide for any reason that DreamCloud is not your ideal mattress, we’ll remove the mattress from your home and refund your payment. DreamCloud is an online-only mattress retailer based in USA featuring a specialized lineup of mattresses, including models from DreamCloud. For information about the mattresses manufactured by DreamCloud, please visit the DreamCloud manufacturer page. Have an update or correction to our information about DreamCloud? If so, please take a moment to suggest an edit. Do you work for DreamCloud? If you represent all of this company's store locations, claim the DreamCloud retailer profile. If you represent an individual DreamCloud location (eg, as a store manager), claim the store location(s) you represent by finding them in our store locator.